The perfect gift for the grill master in your family who loves to barbecue kebabs but doesn't love to thread the food on the skewer. 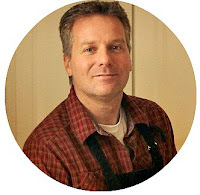 Do you have a grill master, or an aspiring grill master, in your family who cooks on the barbecue year-round? In this house that would be me, and the best gift I ever received to satisfy my year-round barbecuing habit is a vegetable grill basket. Wait? What? A Grill Basket? Really? Yep! If the grill master in your family grills kebabs, but doesn't like to do the skewering part, then a barbecue grill basket will be the perfect gift for your grilling giftee! 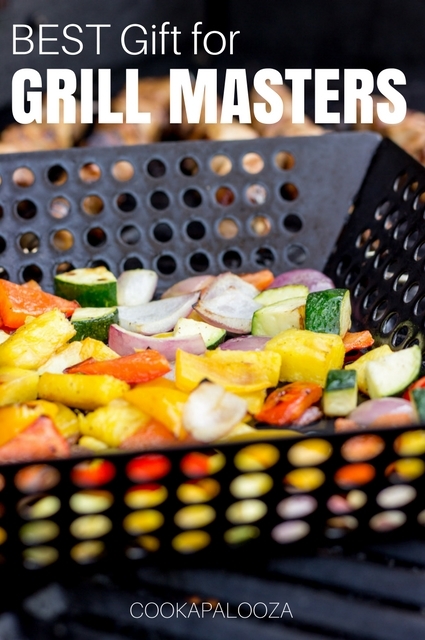 With the grill basket, it's easier to simply toss the vegetables in the basket with oil, salt, and pepper, then barbecue them separately from the marinated meat threaded onto the skewers. It is also safer to cook the meat and vegetables this way because it gives the meat more room on the skewers to cook properly, especially when using raw chicken. Plus, if the vegetables are done cooking you can take them off the grill and finish cooking the meat, or vice versa. Cooking kebabs this way may not look as impressive as grilled vegetables and marinated meat alternately threaded onto a skewer. But they still look, and taste, amazing when served on a plate or in a bowl over steamed rice! I don’t recall who bought me my Nordic Ware Vegetable Grill Basket (affiliate link), but thank you, thank you, and thank you again because it’s one of my favorite pieces of cookware to use when I barbecue! What is the best cookware gift you have received that you would recommend to someone else? 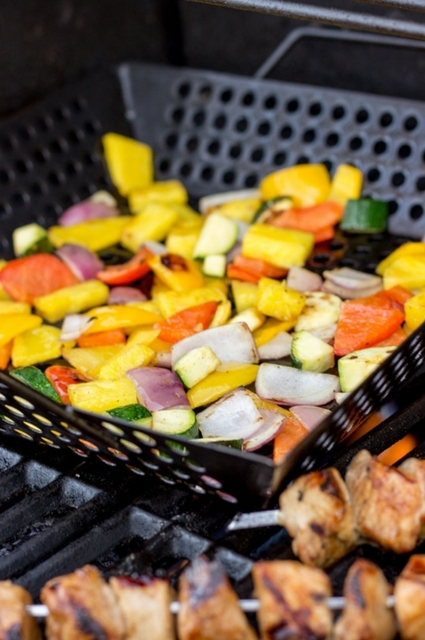 Recipe I use to grill vegetables in my vegetable grill basket. 1. Place your grilling basket on top of a baking sheet. Add vegetables and pineapple to basket. Drizzle with olive oil (about 1 Tbsp.) and season with salt and pepper (about a 1/4 tsp. of each). 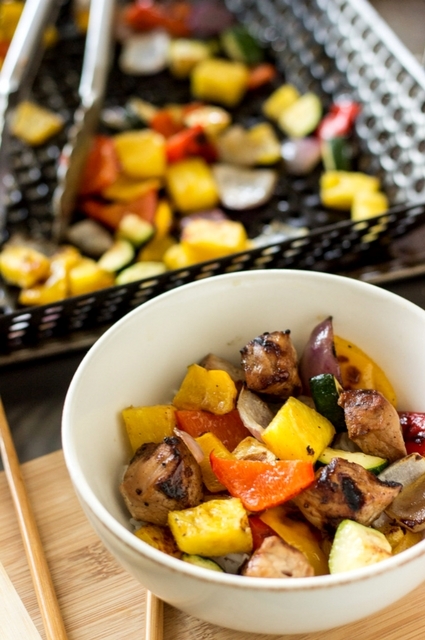 Toss vegetables and pineapple with cooking tongs to evenly coat each piece with oil, salt, and pepper. 2. Pre-heat grill. Cook vegetables and pineapple (tossing every so often) over medium-high heat until they are lightly charred around the edges, about 10 to 15 minutes. Use the ends of your cooking tongs to grab the handle on the grill basket (it's very hot) and carefully slide it onto your baking sheet. 3. While the vegetables and pineapple are still hot, lightly season with salt and pepper. Toss again before serving.